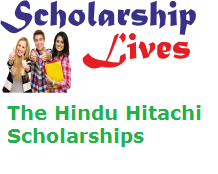 The main aim of the Hindu Hitachi Scholarships is to give the latest Japanese technology to the Indian Engineers. That candidate who has completed the B.E. or B.Sc (Engineering) Degree with good marks can fill the Hindu Hitachi scholarship Online Application Form and take part in the research activities in Japan. If you are also one of them whose profile match these scheme eligibility criteria apply for the scholarship don’t miss this golden opportunity and apply online before the last date. Candidate must have completed qualification of B.E./ B.Sc (Engineering) or its equivalent from any recognized university. Candidate must have some practical experience in certain branches like Information and Telecommunication system, Transportation control system engineering, social infrastructure and industrial/ power systems. Training will be prearranged in one of the following sectors of Hitachi Ltd (Hitachi). Age Limitation: Applicants should not be more than 30 years of age as on 31-03-2018. A fixed payment will be given to every selected Applicant. Other facilities like free boarding and lodging are arranged for shortlist applicant in Japan. Apart for all these traveling expenses will be paid by the Government of Japan. After that, the applicants have to fill all the essential details with bold and capital letters. Then attach the Xerox copies of the essential documents/ certificates. Paste a recent passport size photograph in the form at the suitable place.